« La Chouette » – which means “The Owl” in French – refers to the surprising bond between the night bird and French cider. Traditionally, many farmers in the North-West of France made their own cider with apples from their orchards. In fact, cider was made in barns where owls could often be seen dwelling under the roof. Thus « La Chouette » has always looked after French cider! 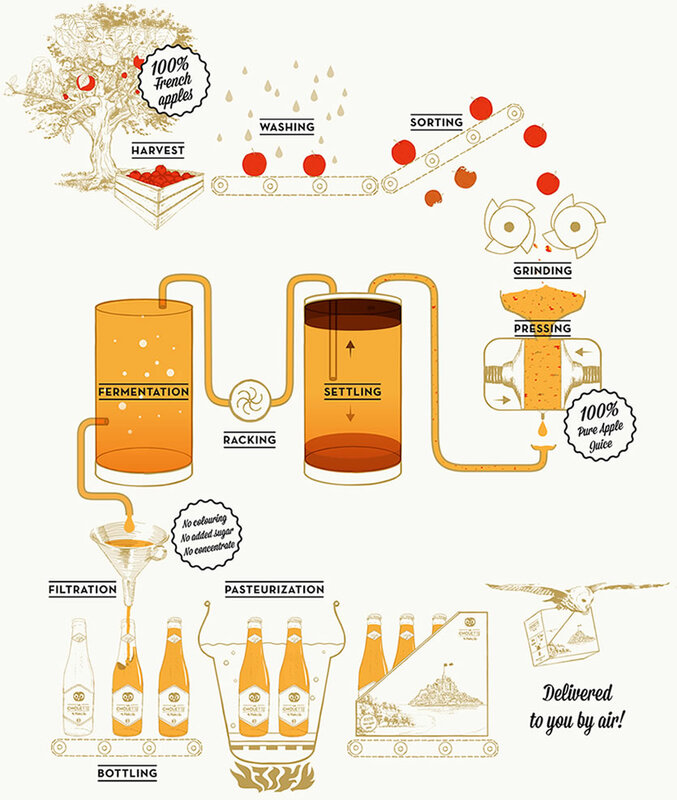 This illustration represents the making process of La Chouette cider in a simplified way. 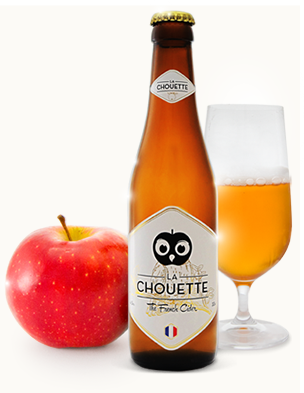 As a crisp and lively drink, La Chouette epitomizes the French tradition of cider making. Best served chilled at 8°C without ice.